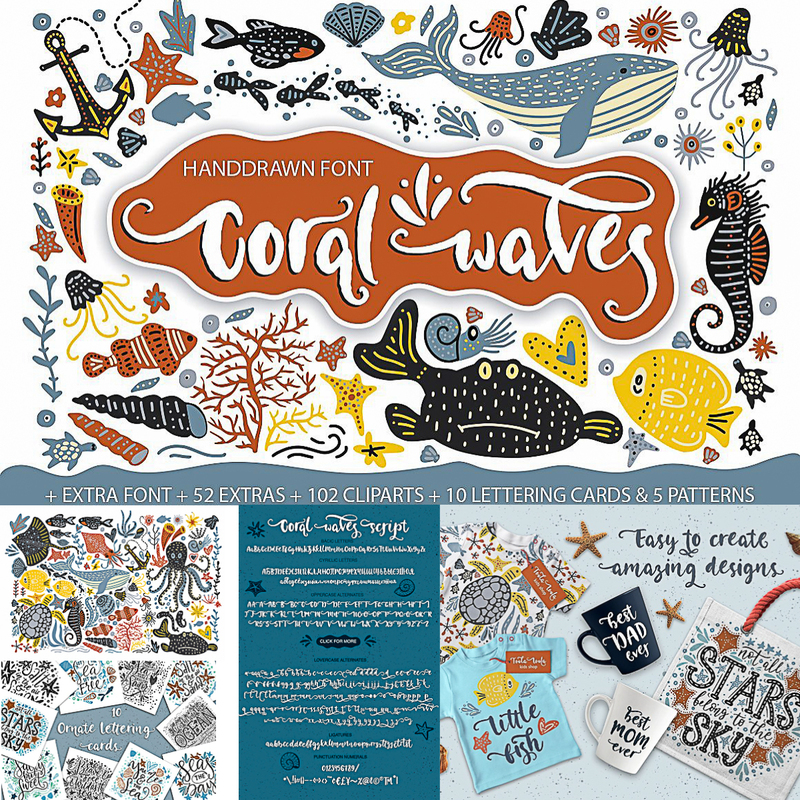 Introducing Coral Waves Collection – 2 fonts, 102 clip arts, 10 lettering cards, 52 extras & 5 patterns. Mix & match clipart illustrations, lettering, extras and patterns with font to create amazing designs, like greeting cards, t-shirts, posters, mugs, branding materials, and any other projects you are working on. Tags: clipart, coral, creative pattern, cyrillic, decorative font, fish, ocean, pattern, water, waves.